Eduard Nikel was born in Stepanowka, Russia in 1989 and moved to Germany at the age of 6. After an apprenticeship at a bakery in Lemgo, NRW Eduard became a Master Baker. To broaden is horizons he spent 21 months practicing the art of German Bakery in Madison, Wisconsin. 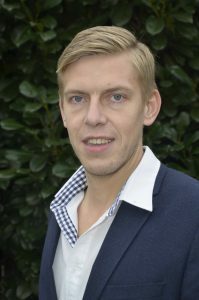 Back in Germany Eduard obtained his Bachelor of Technical Business Administration in evening classes. Currently he is working as head of the experimental and testing bakery at DIGeFa (Cereal Research Institute) in Detmold. Besides that he is an instructor on all subjects of the value creating chain in baking. Eduard serves as honorary member of the Bakery and Confectionary Guilds examination board. In his spare time he likes to play volleyball, go swimming, snowboarding and fishing. He really enjoys to leave the house with his friends and family.